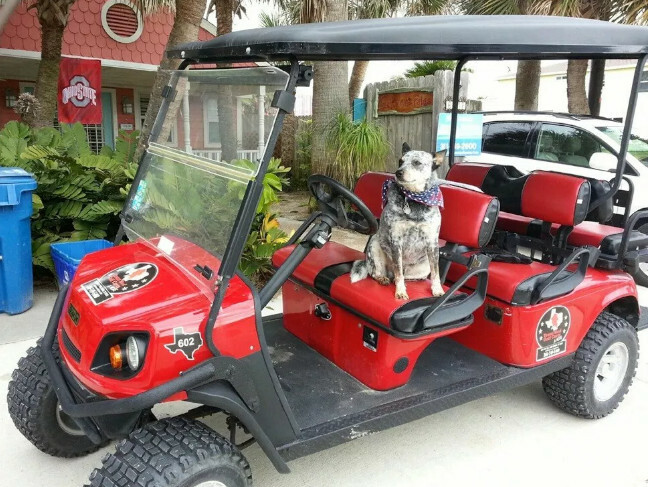 Welcome to TEXAS RED GOLF CARTS Port Aransas' premier Golf Cart outfitters. 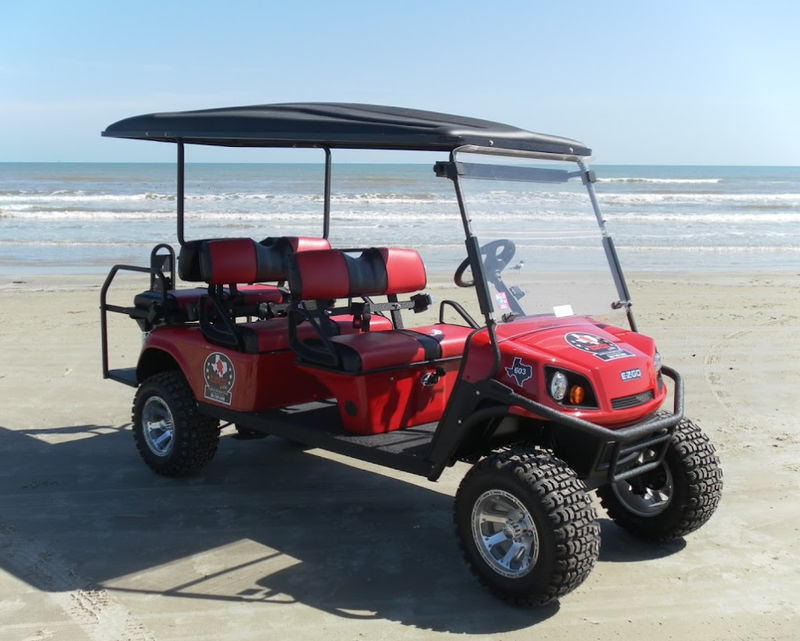 We make it easy & fun to rent the cleanest late model lifted EZ-GO carts available for rent in Port Aransas! Delivery to your accomodations is included at no additional charge! 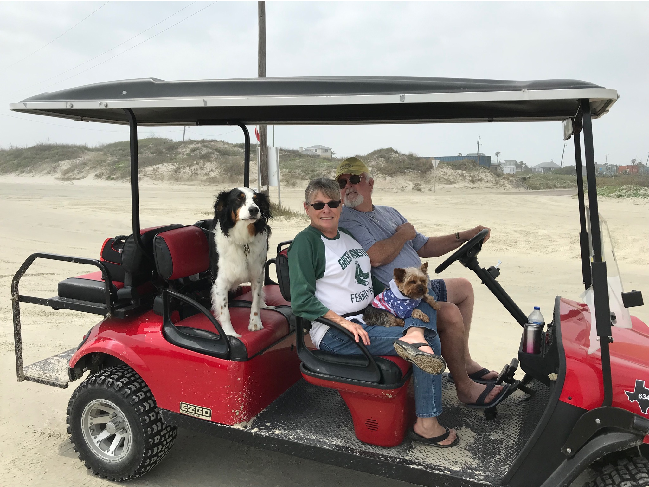 Whatever your pleasure in Port A, enjoy the weather and the scenery from a well maintained LATE MODEL open-air golf cart. 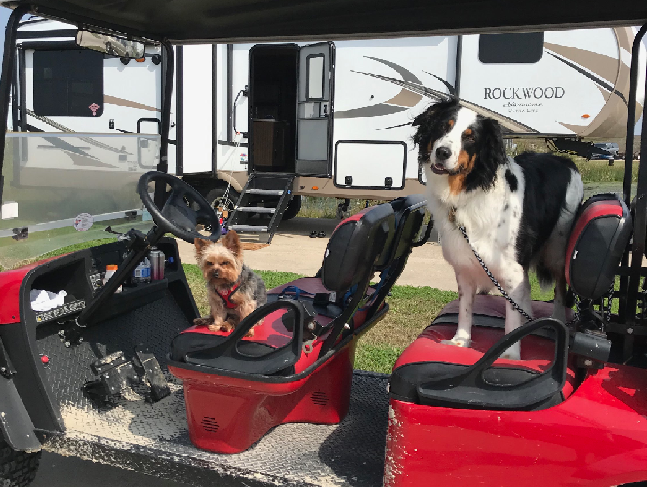 All of our TEXAS RED GOLF CARTS are in great condition and seat six! 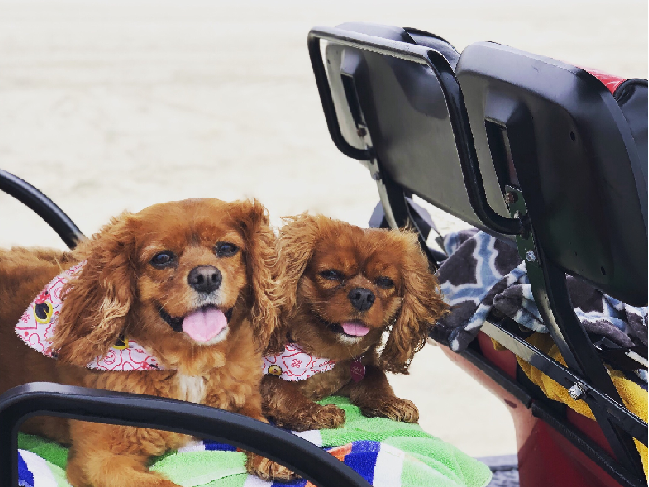 They’re easy to drive, and fun for the whole gang! We have competitive rates, too! 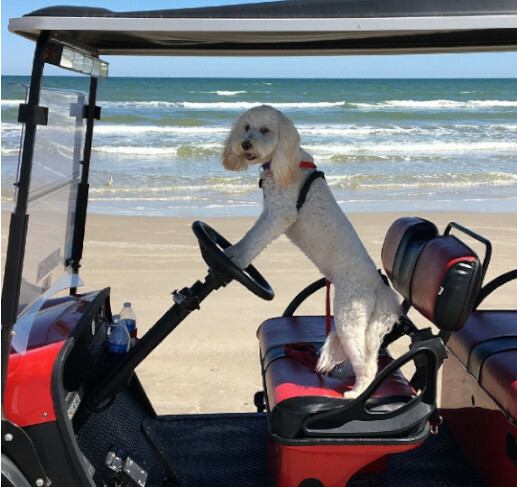 Whether you’re new to Port Aransas or a seasoned visitor, you’ll find no better way to explore the wonders of coastal living than in an open-air golf cart from TEXAS RED GOLF CARTS . From the beach to the bay, imerse yourself in the great outdoors of the Texas Gulf Coast while traveling in Island Style! 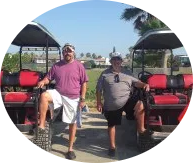 Driving our carts is fun and easy - much easier than driving a gas-guzzling SUV around our town, and your Daily-Driver will thank you for sparing it the salt, sand & spray of our beautiful beaches. Texas Reds are the best! 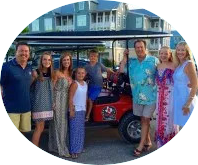 We have been coming to Port Aransas as a family for seven years and have rented from other beach cart companies. We always had problems with carts breaking down. Not with Texas Red! Robin the owner is awesome! Makes you feel like family right away! 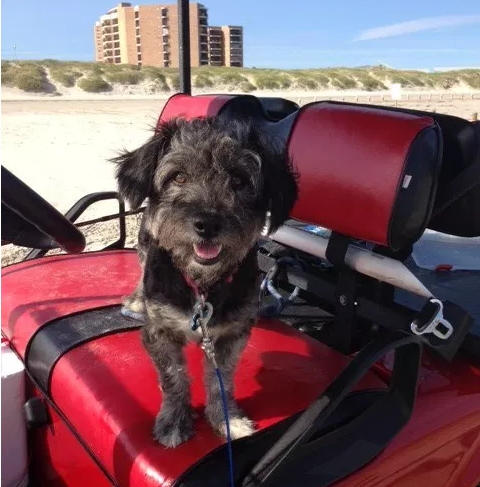 Renting from TEXAS RED GOLF CARTS is a must do every time you visit Port Aransas. These are the best looking golf carts on the beach. Robin is very friendly, professional and made us feel like we were family. There are a lot of companies out there that will rent you a cart, but only one with truly extraordinary customer service…Texas Reds! 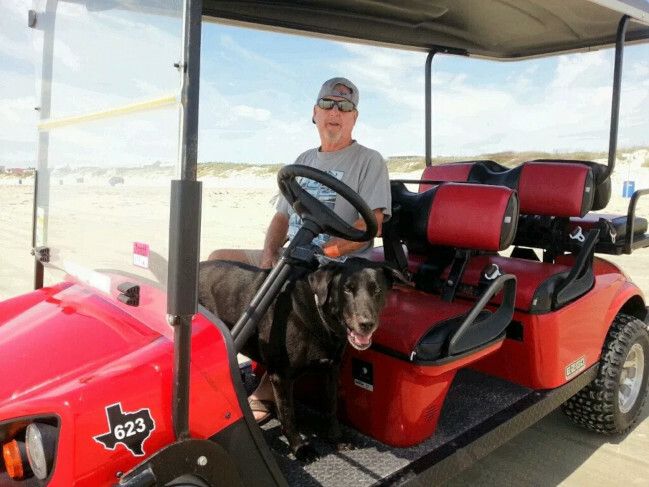 There are a lot of companies out there that will rent you a cart, but only one with truly extraordinary customer service…Texas Red! 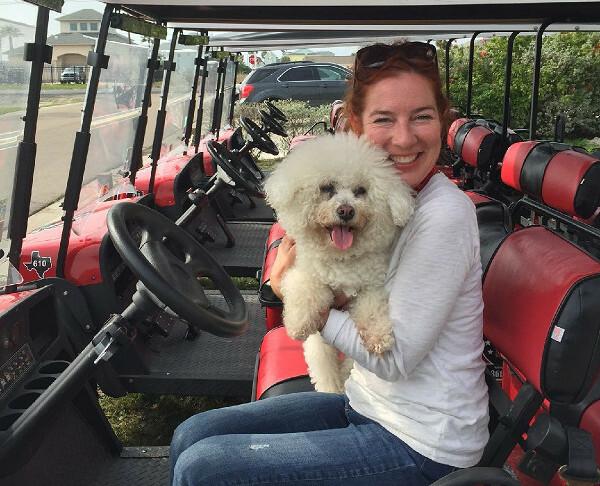 Our Furry Friends love our carts, and we love them!